The Bannsiders made a winning start to their league campaign last weekend as goals from Ian Parkhill, Stephen Lowry and Eoin Bradley earned all three points on the opening day of the season against Warrenpoint Town. As for the Reds, they were trailing in their contest against Glentoran but fought back when Joe Gormley pounced from close range, before Jay Donnelly slotted home a last minute winner. 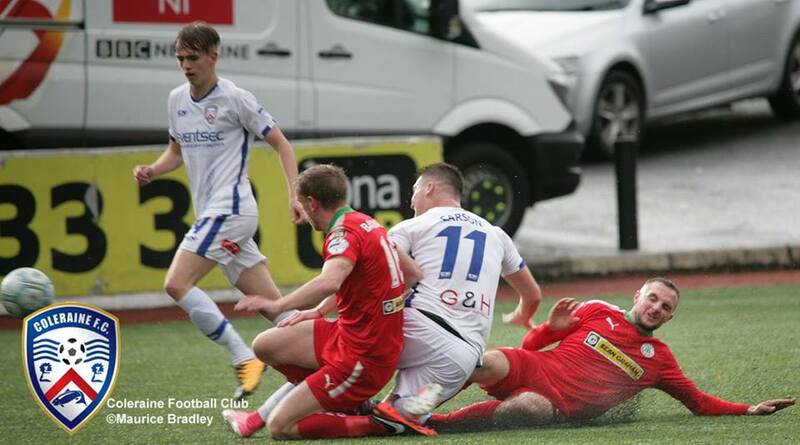 The two sides faced each other on five occasions last season, with Coleraine registering four victories and the other fixture ending in a draw. In August 2017, goals from Jamie McGonigle and Josh Carson were the catalyst in a 2-0 win, before Joe McCready’s second-half winner earned all three points in October. 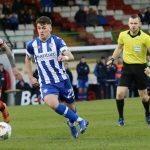 The third fixture in December was dominated by the Reds, but Coleraine held firm to earn a share of the spoils at Solitude. 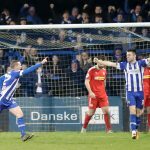 In the league split, Coleraine came from behind to defeat Cliftonville courtesy of a late penalty from McGonigle. The final battle was the Irish Cup final which was won by the Stripes as goals from Darren McCauley, Aaron Burns and Eoin Bradley ended our 15-year wait for silverware. 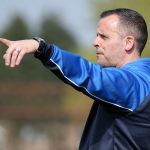 Coleraine manager Oran Kearney will be without the services of Lyndon Kane and James McLaughlin through injury, meanwhile Stephen O’Donnell sits out the final game of his two-match suspension. However, after missing 10 players last weekend, Kearney will have Adam Mullan, Steven Douglas, Aaron Traynor, Aaron Burns, Brad Lyons and Jamie McGonigle back at his disposal – much to the manager’s relief. “We had some big battles with Cliftonville last season,” he said. “The key thing is we have those players available for selection again. “We literally have a back four available for selection again along with Brad Lyons and Jamie McGonigle as well. Supporters are urged to read the following travel and safety information released by the PSNI (HERE) before making their way to Solitude. The Spirit of ’74 Supporters Club have seats remaining on their bus that will be departing The Showgrounds at 1pm. The cost is £10 adults and £5 for kids/over 65’s. Everyone is welcome & contact 07834977338 for more information. The Blue and White Army Coleraine Supporters Club have six seats remaining on their bus that will be departing Coleraine Train Station at 1pm. The cost is £10 adults, £5 for under-16’s and U12’s are free. Please contact their Facebook page HERE for more information. Garvagh, Kilrea and District Supporters Club will be leaving Rugby Avenue at 12:30, with a pick up at the car park in Garvagh at 1 and the Northern Bank in Kilrea at 1:10. The cost is £15 for non-members & £10 for members. Membership for the season is £20. Contact 07756592041 or 07712462089.